On the third day of a star mapping mission in previously uncharted space, The U.S.S. Enterprise is blocked by a cube: a border marker, apparently, left behind by some unknown alien race. 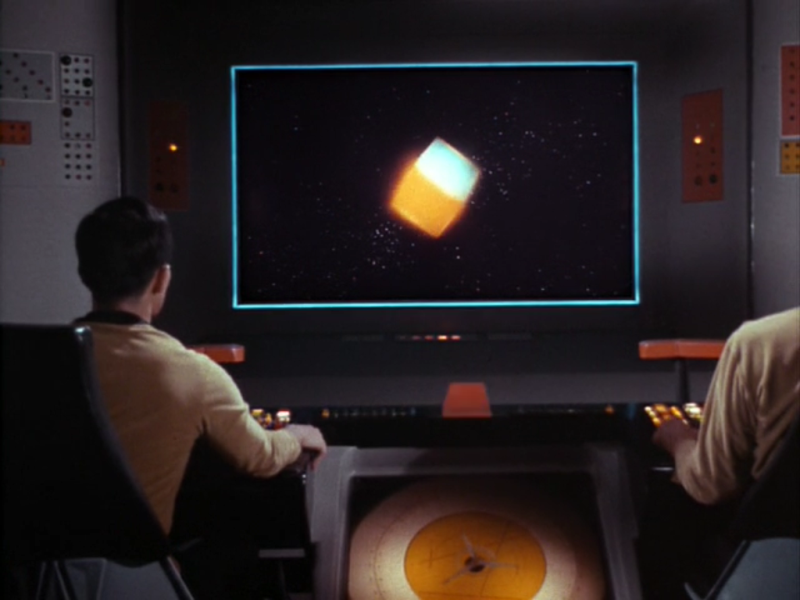 Captain Kirk (William Shatner) is forced to destroy the cube when it emits dangerous levels of radiation and threatens the lives of his crew and the safety of the ship. Before long, however, the powerful force behind that cube arrives to confront the Enterprise. Commanded by the fearsome Balok (Ted Cassidy) is a colossal vessel -- the Fesarius – hailing from a society called The First Federation. Balok threatens to destroy the Enterprise for trespassing in restricted space. No escape is possible. No plea is acceptable, he says. On the bridge of the Enterprise, Balok’s uncompromising behavior rattles the nerves of a young navigator, Bailey (Anthony Call), and stymies Kirk’s attempts at diplomacy. There seems to be no way to escape destruction, at least until Mr. Spock (Leonard Nimoy) off-handedly mentions chess. Inspired, Kirk realizes he is playing the wrong game with this opponent. He adopts a different game -- poker -- and then, with the straightest of poker faces, attempts to bluff Balok. This ploy succeeds, and opens up a channel of communication between the Enterprise an Balok. 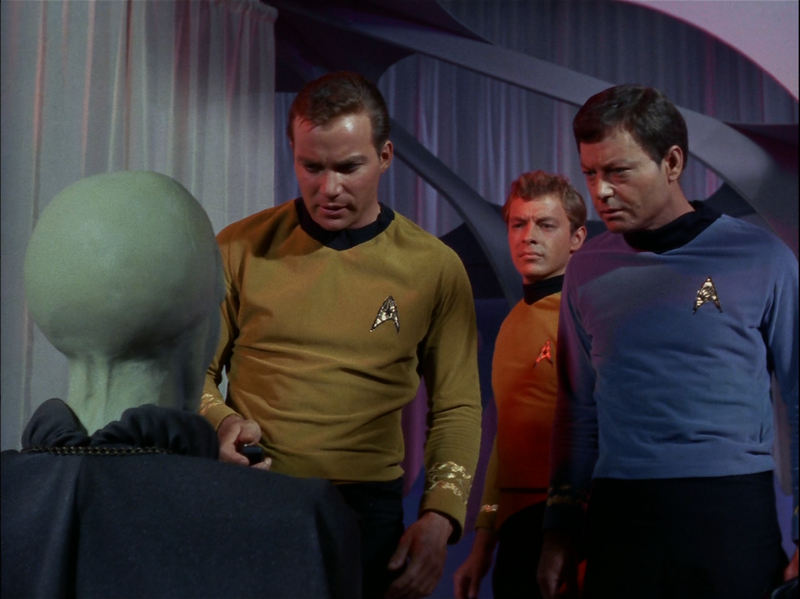 Some months back, I was asked by a reader here on the blog to pick just one episode that I felt could represent the totality of the Star Trek (1966-1969) experience. Without a doubt, this is one of the greatest episodes of the series -- one of the ten best -- and an installment that delivers drama, suspense, and most importantly, a distinctive and uplifting philosophical world view. First of all, “The Corbomite Maneuver” presents the idea that the greatest enemy in space is not alien races, but fear itself. In other words, human psychology. The problem is how we respond to that which we don't fully comprehend or know. This is a remarkable monologue, and a perfect distillation of Star Trek philosophy. The men and women of the 23rd century and aboard the Enterprise are equipped to handle new frontiers, new civilizations. And what is unknown or seems different, in due time, becomes understood, explainable. They are explorers who -- if they can conquer their own demons -- are ready to meet the universe. This is a great affirmation of mankind, and our potential. Star Trek shows us who we can aspire to be, if we put anger and fear behind us. Kirk’s assertion of this philosophy is developed in the episode on an individual basis too; by Bailey, the young navigator who finds it difficult to control his fear, his emotions when Balok threatens the Enterprise. Bailey is young, and inexperienced, and unlike the senior crew has not yet learned how to manage his fear. He is well-trained, responsible, and capable...but personally, he grapples with the unknown. At the end of the episode, Kirk notes that he “owes” Bailey a look at “the face of the unknown” and it’s a remarkable moment. Kirk has taken him under his wing, and shows Bailey that as captain he does not just mouth a philosophy of exploration, peace and understanding…he practices it. He lives it. In my opinion, this quality is what makes Kirk (and certainly Kirk of the first season) an extraordinary captain and role model. The very idea of fear is reinforced in the episode through the character of Balok as well. He has constructed a menacing puppet (replete with menacing voice…) as his “alter ego.” This is the face he shows the world...the universe. 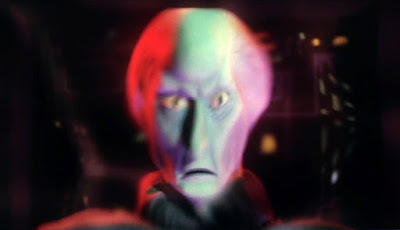 Balok is so fearful of alien contact that might go wrong, that the very face he puts on is one of sheer terror. 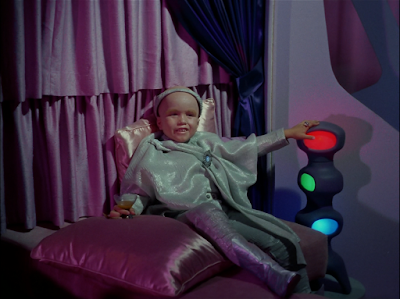 At the end of the episode, Balok declares it "was a pleasure” testing the Enterprise and her captain (a common Roddenberry theme, actually), but it is clear that the First Federation (Balok's governing entity) operates from a position of fear, hiding behind technology and masks to suss out the characteristics of other races. Given their diminutive personal stature, this is perhaps an understandable philosophy too. They present as terrifying, lest they be seen as weak. The first episode of Star Trek filmed following the second pilot, “The Corbomite Maneuver” also establishes a long-lived Kirk/Spock character dynamic. Specifically, Spock makes an observation or analysis about a current situation or dilemma, and that remark inspires Kirk to concoct a brilliant, but spontaneous strategy for success. Here, Spock is reminded of chess, noting that Kirk and Balok keep making effective counter-moves. That notation gives Kirk the inspiration of a different game, poker…and bluffing. As late as The Wrath of Khan (1982), and Spock’s observation of Khan’s “pattern” indicating “two dimensional thinking,” we see this character dynamic re-asserted. Spock observe and assesses; Kirk synthesizes that work into purposeful, life-saving action. One man is all about knowledge and information. The other man is all about improvising survival from that analysis. There are so many grounds upon which one can commend “The Corbomite Maneuver.” It is excellent entertainment, first off, with a surprising ending. More trenchantly -- and like other early episodes of the series (namely “The Man Trap,” “Charlie X” and “The Naked Time,”) -- this episode creates the impression of real people functioning on a real vessel. I termed this the “the lower decks” paradigm in my reviews of those episodes. Here, for instance, we see Yeoman Rand bringing Kirk dinner (while he gripes about a diet), and meet a young surrogate for the audience: Bailey. Bailey, like the audience, doesn’t quite know the ropes. This episode is his journey. In a way, he is really the central character of this work of art. No, he’s not a captain, a CMO or exec. He’s just a kid promoted to a job of great responsibility. But importantly, he is a individual who has no practical way of grappling with his fear. When Kirk mentors him, he is really mentoring us too. I also find this episode exceptionally tense, and, indeed, a template, perhaps, for many of the most challenging an remarkable episodes of Star Trek. Much time is spent on the bridge, as strategy is discussed and executed, and there are no planets to visit. Think about how much Star Trek: The Motion Picture (1979) resembles this story type. The crew --from their workaday control room -- grapples with alien contact. In the midst of an emergency, the crew must face their fear of the unknown, and puzzle out the rationale behind an intelligence beyond human experience. And of course, the answer in both cases is not violence. It is not hostility. It is not to kill that which is different. Instead, an episode such as “The Corbomite Maneuver” suggests that we can control all those impulses and meet the unknown with the best angels of our nature. Bailey sees the face of the unknown, and fear disappears. Put aside your fear, says Star Trek, and that which is dark an mysterious, becomes illuminated and known. Not only is "The Corbomite Maneuver" one of the best episodes of Star Trek - TOS, I feel it may be the best episode in the entirety of Star Trek history. It distills all of the elements which make the series great, and is the perfect gateway episode to show others why Star Trek is so loved. 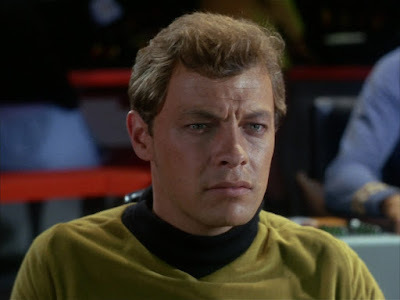 McCoy is also a catalyst in Kirk's thought process, picking the wrong time to argue with Kirk - an argument that leads to his realization that Kirk should be playing poker when Spock implied chess. The Kirk-Spock-McCoy dynamic is established here and would become the bedrock of the series as a whole. We also get a line from McCoy which was used in one of the later TOS films: "If I jumped everytime a light went off around here, I'd end up talking to myself." I love that line, because it establishes that this ship is no stranger to adventure, and we are a part of it, as viewers. Many good points. The characterization is to die for. Anthony Call, as Bailey, is very believable. 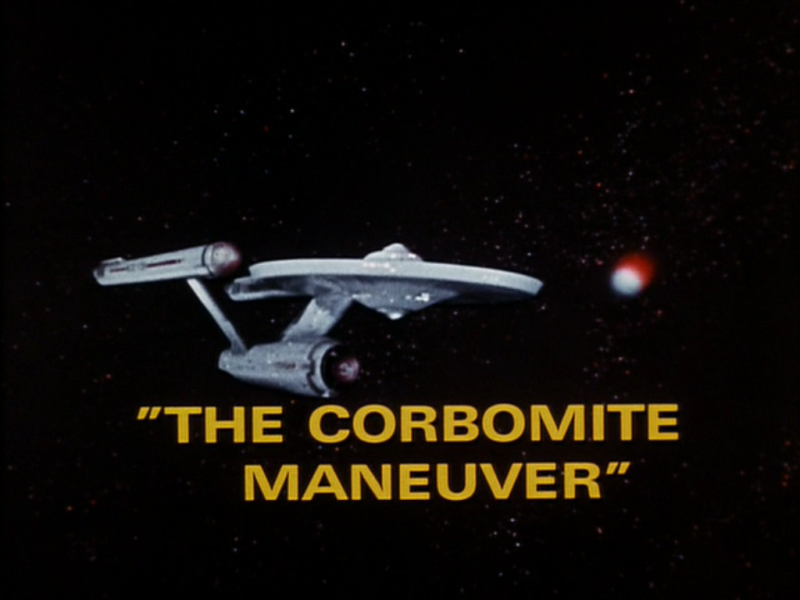 The series was indeed a winner right out of the gate, an honour cemented by "The Corbomite Maneuver", the first one in regular series production... as you state. 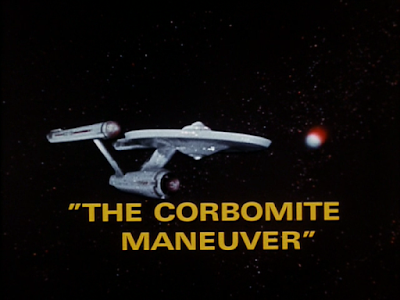 "The Corbomite Maneuver" is the first show with Deforest Kelley as the ship's doctor. His scenes with Shatner are sparks and all. I won't repeat what you said, John, but I must bring up this episode's powerful and memorable visual identitiy, a major ingredient of Star Trek, something you entirely missed mentioning. The Fesarius and Commander Balok's "small ship" imprint on the viewers' minds. The big ball of a space vessel isn't just some model kit-bash job but is a highly original design, and it's lit internally. 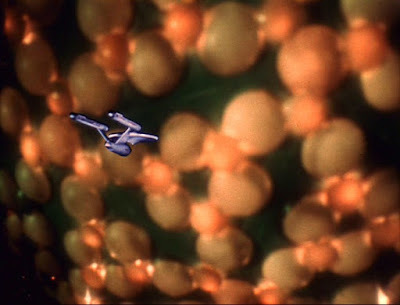 The camera movements on the glowing and pulsating Fesarius are impressive: the shot of it starting as a little ball of light far in the distance then moving towards us filling our screen, and dwarfing the Enterprise, is absolutely wonderful and an impressive demonstration of the potential power of the cinematic image: depth, colour (in this case), and movement. Helping the shot's visceral punch is composer Fred Steiner's music. It's topped of with perfect sound effects work: The impassioned voice calling out ship systems over the bridge's loudspeaker, as the crew watches the small but ever growing Fesarius on the main viewscreen, is a touch which convinces the audience this is the real thing. A friend of mine describes Steiner's syncopated flurry for the spinning warning-buoy cube as "Dukas on acid". Director Joseph Sargent's work with actors and the camera is top drawer. 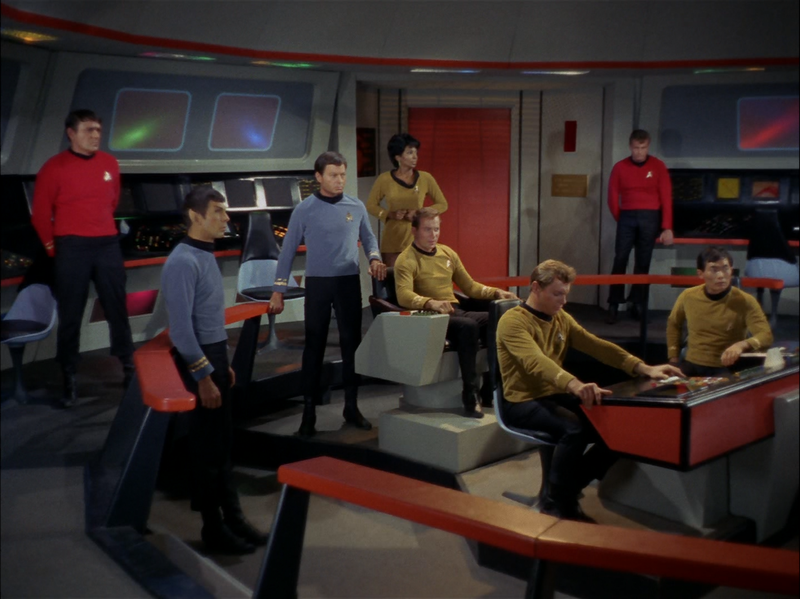 The way he moves actors in an episode which spends a lot of necessary time on the ship's bridge is done in regards to what Shatner is doing in the center seat. When the Captain plays poker the bridge crew glows in appreciation and admiration. Look at their faces and body language. "We think much alike, Captain, you and I. Now, before I bring back the Fesarius, let me show you my vessel. It is not often I have this pleasure. Yes, we're very much alike, Captain. Both proud of our ships." I've always thought this episode to be way underrated. I think it may be one of the strongest character episodes in the way it reveals the triumvirate and their head/heart/gut or ego/id/superego externalization of the captain's internal decision process. 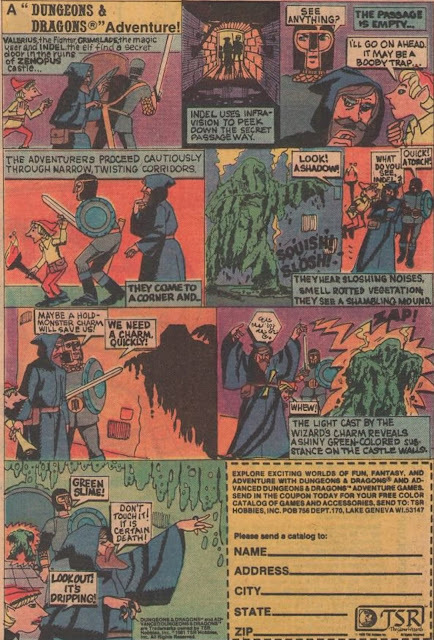 As a kid, that "countdown voice" scared the crap out of me, and lent such ominousness to the moment of Spock's faltering near-apology for being unable to come up with a solution. The only thing I've never liked about this episode is the rather absurd levels to which McCoy insists on pushing even after his point has been made, and in the midst of the worst of the crisis. It's thoughtless of the character and lacks any judgment or proportion whatsoever. If he'd harangued me (for the third time) while the menace is announcing I'd better make peace with my deity, I'd have belted him right in the chops! I have always wished this episode had been followed up in some way! We never see the aliens of the First Federation again, or learn what became of Bailey's experience or the exchange of ideas, or anything. I simply have to add, apropos of nothing, that when I was a toddler, I refused as much as possible to obey one of my much older brothers because he teased me mercilessly and made my life miserable. But if what he wanted was important, he could compel my cooperation by hauling out the big gun: he'd lower his voice and call out from the other room, "YOU NOW HAVE TWO EARTH MINUTES!"